The vast majority of image editors are generally focused on design and photo enhancement, so if what we're looking for is an application specifically created to be able to create artistic compositions with our images and photos, we have to resort to a tool like Magic Photo Editor. 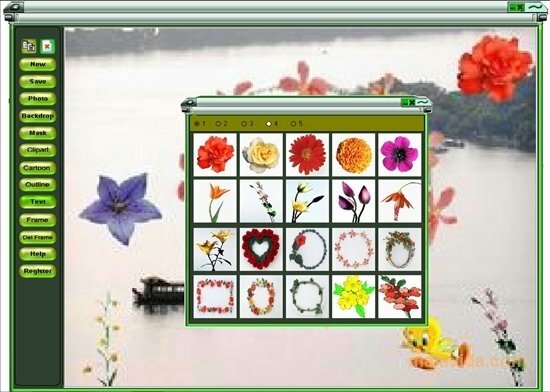 This application, that is very easy to use, allows us to add frames, special effects and scenery to our images, as well as all kinds of clipart. Therefore, we'll be able to convert any portrait into an image that's much more appealing, ideal for our desktop wallpaper or to print and share with whoever we want. The program includes more than 700 different templates available with which we'll be able to start our compositions, so if we lack inspiration, there's no need to worry. If you were looking for a program that allows you to give your images an artistic touch in a few minutes, Magic Photo Editor is one of the best alternatives available for that task. The trial version has certain limitations.